Zexcoils are so cool. Basically each pole is it's own pickup, then the three bottom strings are reverse polarity to the three top ones. When I have money I'm going to get a set of zexcoils for my strat. I love the idea of the convertible sets. I never heard of these, sounds cool. Need to search for a straight demo. Was the ghost setting I bought it for, I use a plugin called glacialverb that does a similar sound kind of all out wash that's great for background atmospherics. I use it in a few songs and found it difficult to recreate live this fills the space nicely... horse's for courses. 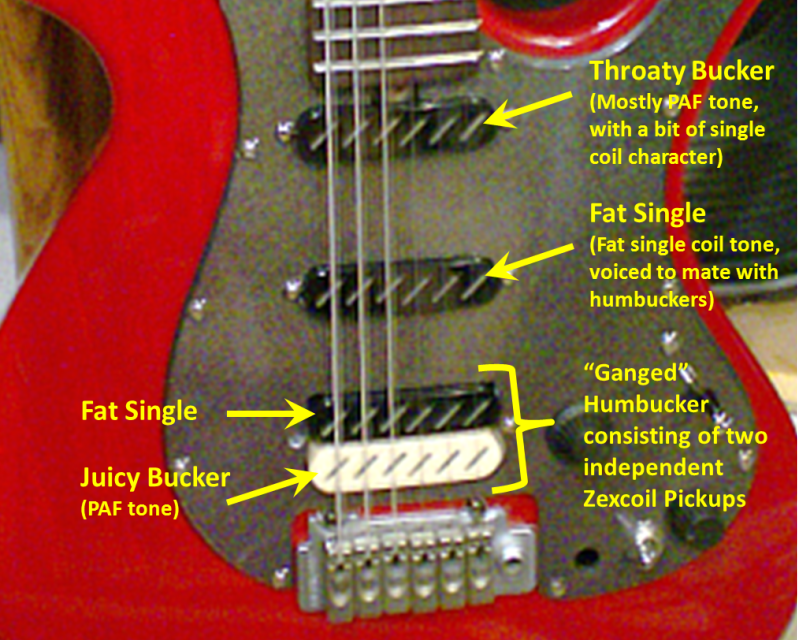 i guess they don't make a humbucker of their own, but this dude just improvised.